One major bonus of living near Chicago is that there’s a pretty vibrant cocktail (don’t make me say mixology) “scene”. You can find anything to fit your particular whim of the day, whether it’s whiskey, tequila, rum, or gin. The curse of all that cocktail creativity is that menus will change seasonally and you’ll find yourself lost and wandering when one of your favorites is replaced. Now, I may have mentioned Big Star once or twice (or a thousand times) before. As one of my regular spots, I often rotate through their cocktails, but two summers ago I devoted myself to their Aces & Twos cocktail. 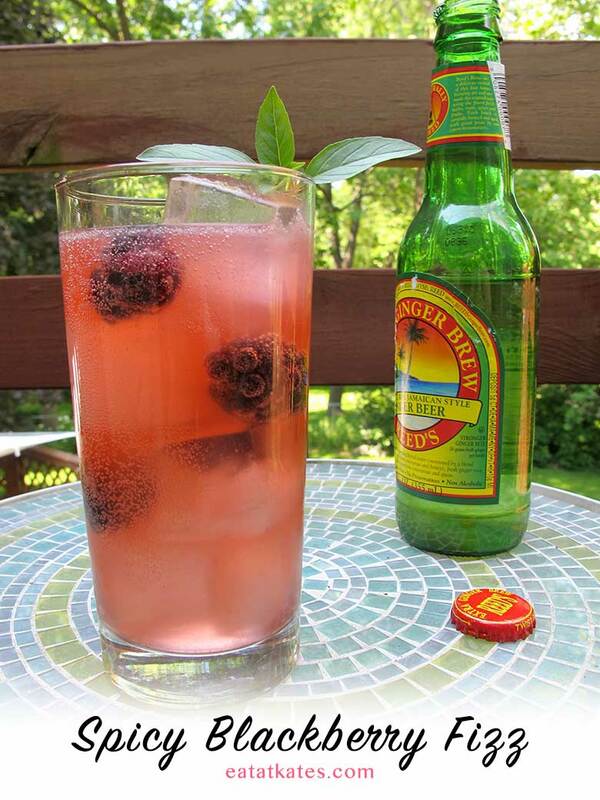 It’s a bubbly balance of jalapeño, blackberry, and ginger with a secret (cannot be left out) ingredient. The syrup will keep in the fridge for about two weeks. For those days you need a “virgin” option, mix the syrup into some lemonade or ginger ale. Fresh blackberries. Rinsed and ready to go. 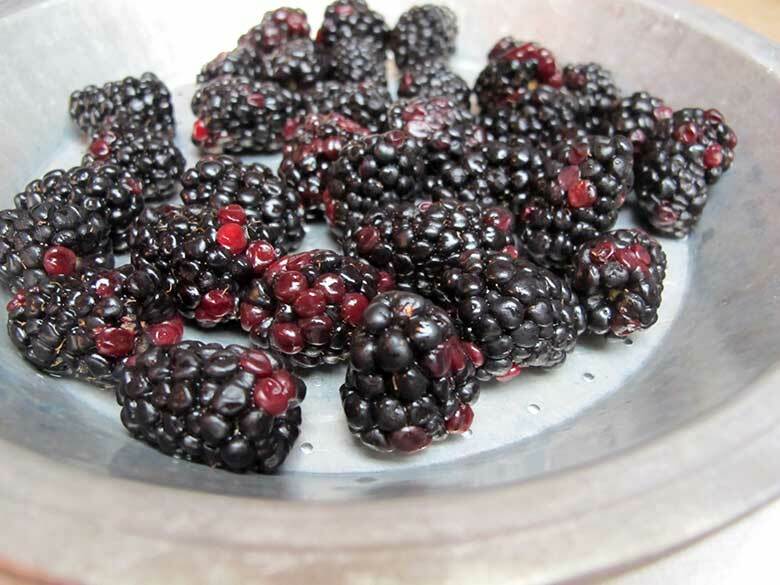 Blackberries after they’ve simmered for a bit. The blackberry mash ready to be strained. 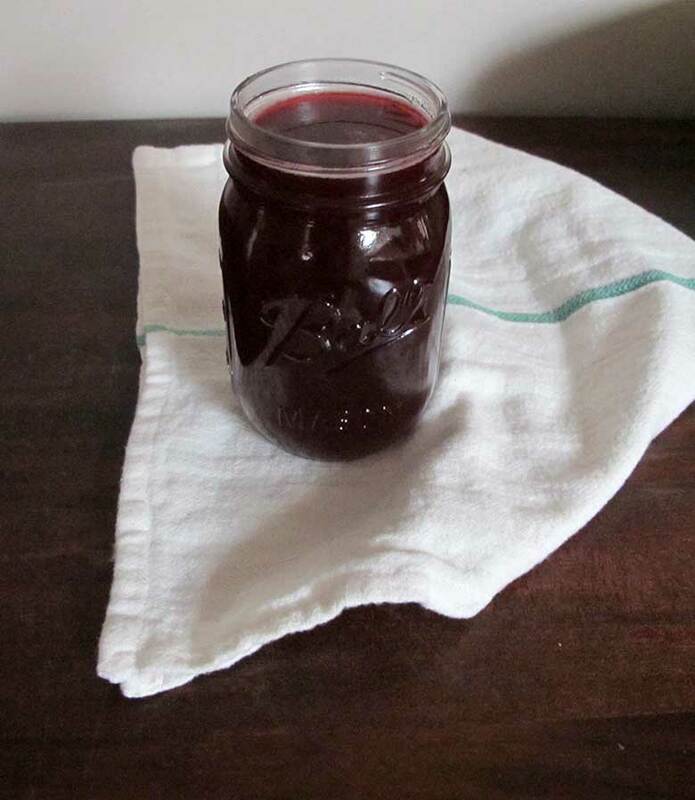 The final product: delicious, sweet blackberry syrup. In a cocktail shaker, mix the tequila, lime juice and blackberry syrup. Drop in the basil leaves and add some ice. Shake vigorously and strain into an ice-filled glass. Garnish with additional basil and blackberries. Warm 1 cup water and 1 cup granulated sugar in a small saucepan. 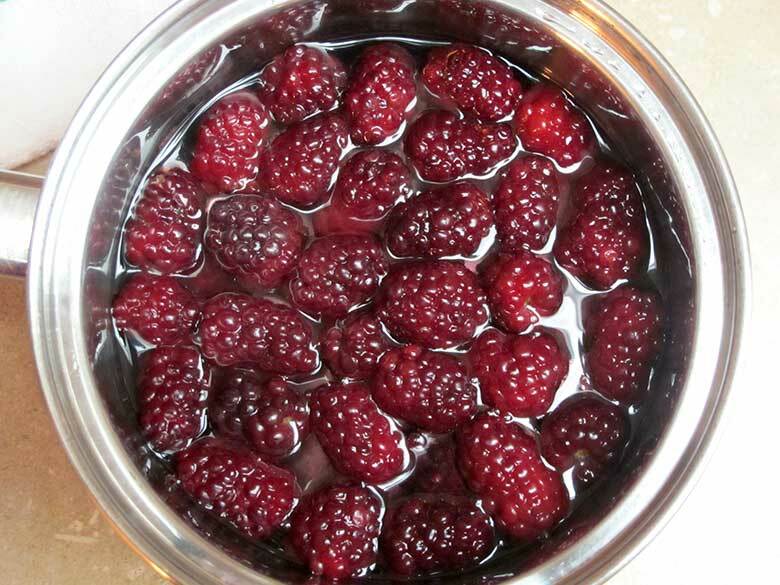 Once the sugar is melted, add a half pint of rinsed blackberries. Simmer on low for 10-15 minutes and remove from the heat. Lightly mash the blackberries in the pan. Strain and pour into a clean jar. Keeps for about two weeks. 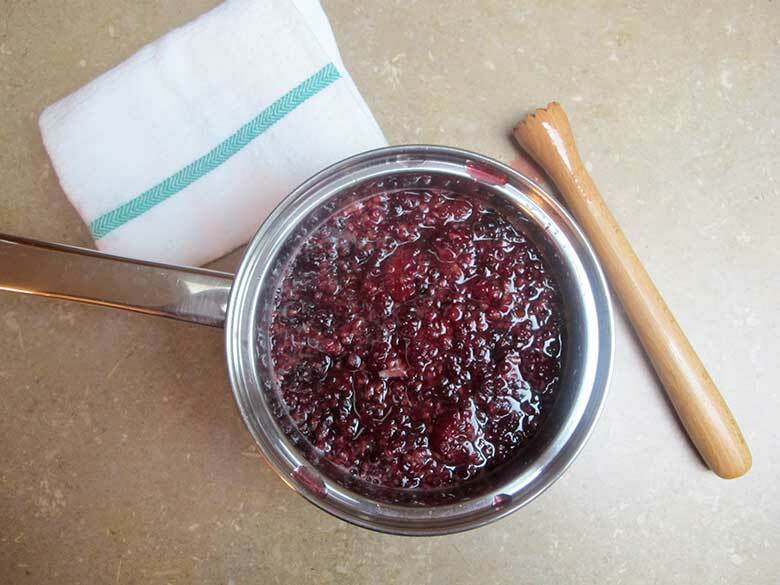 Makes approximately two cups, depending on how “juicy” your berries are. The syrup can be mixed into lemonade or ginger ale for a non-alcoholic drink. Hi, Amanda! Yes, magical and potentially comical things. 😉 I was so happy when my local grocery store started carrying the extra spicy kind!